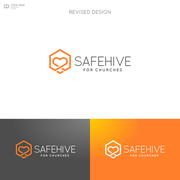 " visualize your imagine "
"Safehive is a big brand focused on health, safety and care training so it needed a strong mark. This logo design couldn’t be too overly masculine or feminine and it needed to communicate safety, strength, security and also feel warm and caring - mind_id..."
"Mind_idea just won my logo design contest. Very creative approach with clean execution of the concept. Easy to work with and was great at providing the version tweaks that took the effort to another level. Highly recommend." "Mind_idea is clearly one of the most creative designers among all contestants. His design stood out from get go. Highly recommended. I'm overall very happy with his performance, if he could be just a little bit quicker on responding, it would be perfect..."
"Herbanu did an amazing job. Very responsive to our little tweaks until we got the design we were looking for. Great job. Thanks a lot!"